"Now that we have Isaiah with us I have so many years of experience that it has been MUCH easier this time around. All that I have learned from having Michael young, and having other children with health issues has made me a stronger mommy." Natalie is a mom with experience to spare. Just 5 weeks ago she welcomed the adorable baby Isaiah into the world – her fourth son in 23 years. The spacing of her children’s ages may be a tad unique, but each new child offered new opportunities to learn and her close family have always worked together. In her own words: “My oldest Michael is 23, Christian is 16, Noah is 9 and we just welcomed Isaiah 5 weeks ago. Having all of my kids with large gaps in between has taught me a lot and has been very useful. Having Michael at a young age didn't come easy but with the help of my parents I learned the basics of raising a child. Through the years I would learn more and more that better prepared me for Christians arrival. Michael was at the age then to help out with caring for his new brother and has been a huge help with all 3 of this younger brothers. 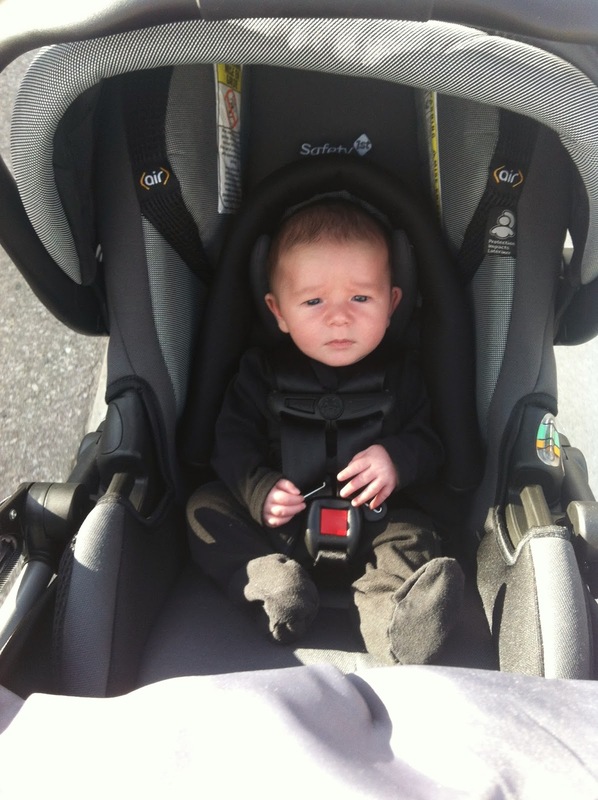 When Noah was born he had a few health issues that we are still dealing with to this day. A lot of what I learned through my experiences with Michael and Christian became very useful in dealing with Noah's early struggles. Both the boys did what they could to help out too. We’re really lucky this week to get to ask Natalie for her diaper bag tips! Most Important Thing in Your Diaper Bag: Baby wipes. These are useful for so much more than just changing diapers. Can be used for cleaning and sanitizing on the go. Something I never leave home without. Basic Save: PC brand natural diapers. These diapers are $7.99 for 40 newborn sized diapers. They are biodegradable after 2 years and are great for the baby. Best Preparedness Advice: If you don't have it with you don't worry about it. Don't get stressed out if you have forgotten something at home. Improv comes in very handy in these situations. Try and have everything with you but if you forget, don't get yourself too worked up about it because it won't make the situation any easier. Contents: wipes, diapers, bum cream, changing pad, soother (our essentials). Plus some bottles for on the go and an extra outfit in case of emergencies.